“Gun Show” was taken on Instagram (why was I surprised?) so after some trial and error, it’s “2013 Gun Show.” Which is fitting, since I started last week, on New Year’s Day. Really, it started a few days before that. I was leaving my favorite nail salon — a sweet little spot in a nice part of town, not one of those cheapie walk-in places but not as expensive as a full-on spa, with sparkly tiles, complimentary iced tea and classic movies playing on a loop — when I noticed it on a display by the door: a tiny, rhinestone-encrusted gun pendant, hanging below a necklace that spelled out LOVE. If it had been there on my previous visits, I hadn’t noticed it — and I know why. Newtown was a tipping point, even for a gun loather like me. That’s not fair. Today is the second anniversary of the Tucson shooting — which literally hit close to home — and I ask myself, “Why didn’t I notice things like rhinestone-encrusted gun pendants after that?” I don’t know why. I didn’t. I should have. We all should have — as it turns out, Newtown seems to have been a tipping point for a lot of people. But what does it say about this country that so many people in it choose to accessorize with guns? Owls, peace signs, mustaches, bicycles, hedgehogs — all cool, fun expressions of one’s personality and preferences. Guns? Not for me. And I have to ask, why for you? I can understand sleeping with a gun under your pillow. But sleeping with your head on a pink pillow with a gun embroidered on it? Yep, you can get one on Etsy. When it comes to safety, I suppose it’s safer to sleep with the embroidered version. But that’s not the point. I don’t feel safe in a world that tosses deadly weaponry around with such abandon, literal or figurative. I hate that I’m so numb to it that it took me so long to realize it was all over. After the nail salon I spent some time looking for other examples and quickly came up with way more than I expected — possibly enough to fill every day of an entire year, though I don’t intend to force myself to do this every day. Most days. A week in, it’s already working — making me more aware of what we fetishize in this society, what we put on a pedestal. Or hang from our ears. Self righteous and preachy? Totally. But hey, it’s a free country. You have the right to bear arms, both rhinestoned and otherwise. And I have the right to tell you what I think of it. If you’re on Instagram and you want to see the project, follow @2013gunshow. And I’d love to see any examples you find. Trust me — you’ll find them, whether you want to or not. I totally agree with you on the serious side of this post. But my sick and twisted mind immediately went to Marriage/Love and Gun/Divorce! It is a photo essay on women who carry guns. 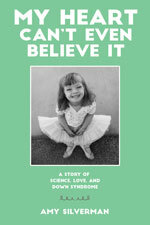 She also did a fun book (with my mom) about Roller Derby Women that you might also get a kick out of (but totally unrelated to the gun issues here). I come from a place where there you can’t carry weapons, so I’m very ignorant of the US culture, but I do know gun lovers. They love the skill of being a good shot. Some love killing their own food. And most I’ve met actually just love the objects as a piece of engineering. 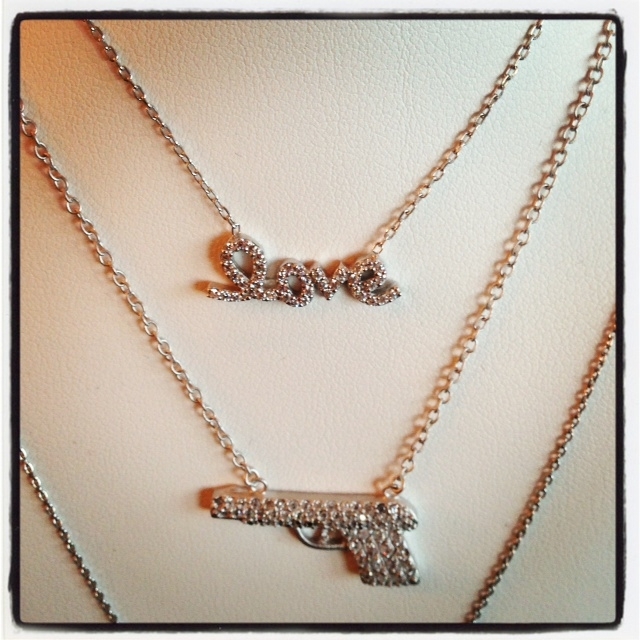 I don’t know if those factor into wanting to wear gun jewellery, but to me it’s like having a rhinestone car pendant.